My writing pal, Mel Comley and I are off to Cybher12 in May. Cybher12 is billed as the number one event for women who blog. As it's not just for Mummies, of which Mel has no desire to be, she's coming over from France so we can go up together. I'm hoping that this trip, Asperger's Son2 might speak to her, or even look at her, as he managed to avoid it for the whole three days of her last visit. Height : 5'3" but Son1 claims I'm 5' 1". He LIES! 2. I used to read the news on the telly but now I write books. Sometimes. 3. 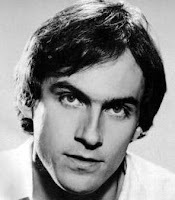 I have loved James Taylor since I was 19 and have made my husband go to 5 of the 7 concerts I've seen. Even though he doesn't really like him. 4.I have two tween/teen sons, both with ASD. This can be exhausting. 5.My 2012 goals are to learn how to relax while still awake and to write a fourth book.